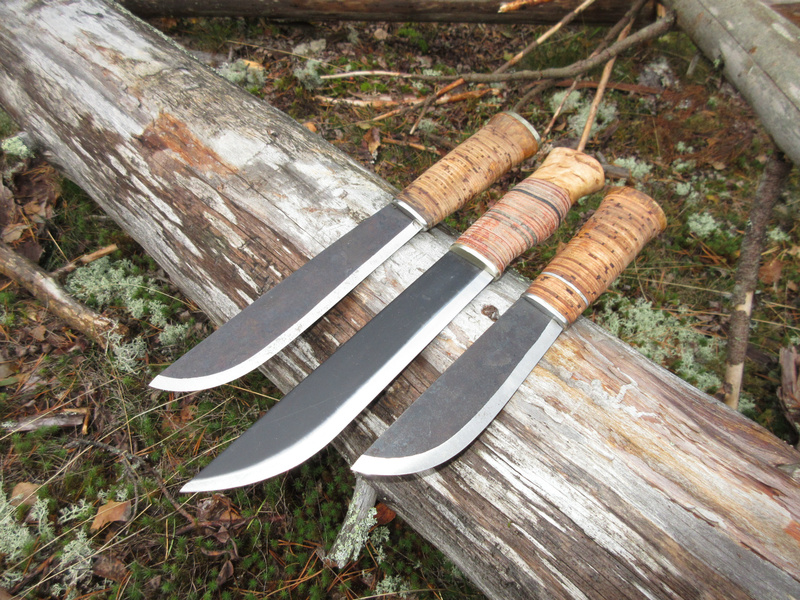 Three Laplander knifes. "Lapin leuku" in Finnish. I have used birch bark and curly birch in the handles. The handles have been treated with tar oil.